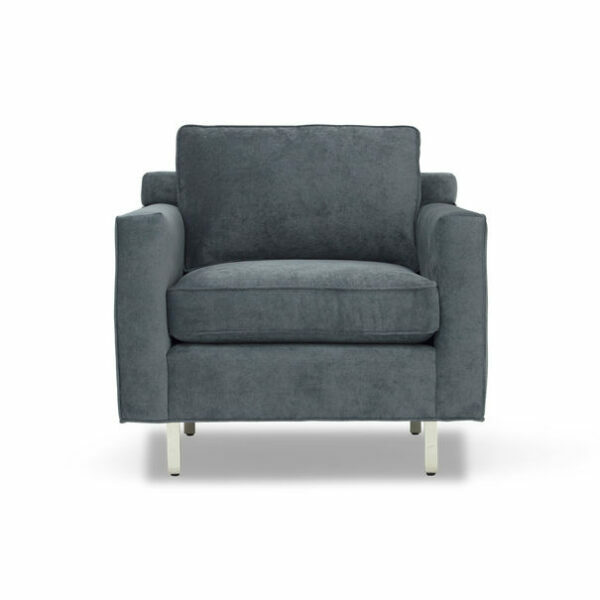 Shown and priced with in-stock fabric: Eller – Slate. 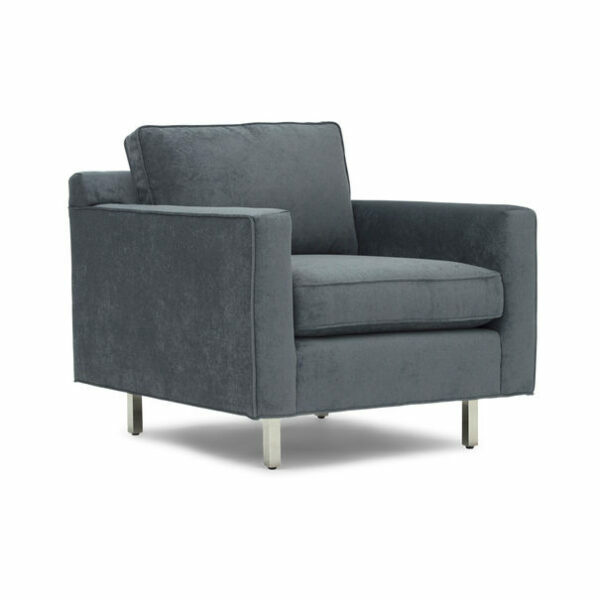 Also available in custom fabrics and leathers, upholstered and slipcovered. Inquire for availability and pricing. Designed to save space while providing the same signature comfort as our larger-scale Hunter Collection, the Hunter Studio chair has a low & lean silhouette sized for urban environments or wherever you need a more compact footprint. 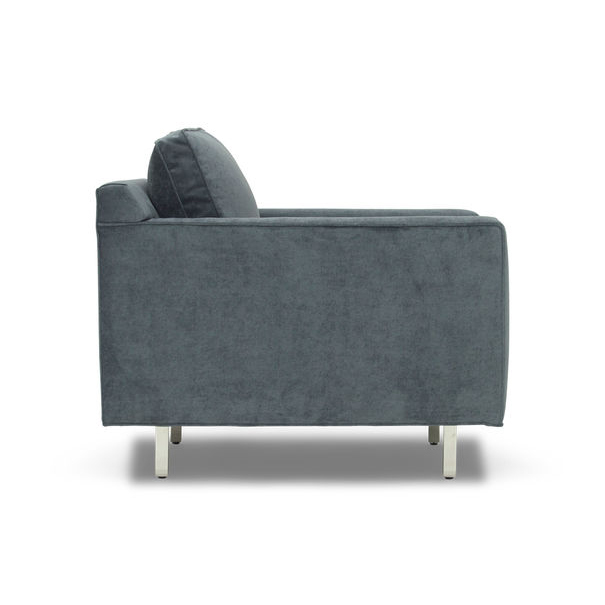 A very comfortable sit in classic modern style. 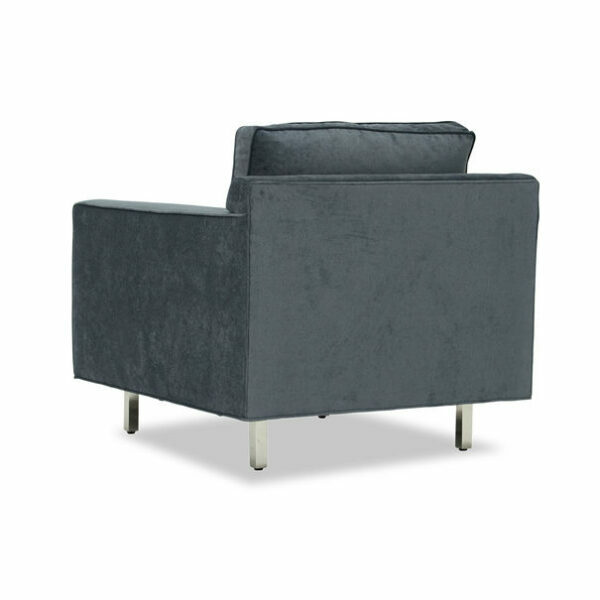 •Available upholstered in fabric or leather, or slipcovered in fabric. •Note: Most larger-scale Hunter pieces also available in Studio size.